Scores 26 Highway MPG and 18 City MPG! This Honda Pilot boasts a Regular Unleaded V-6 3.5 L/212 engine powering this Automatic transmission. .* Visit Us Today *Stop by Capital Honda located at 2651 Jolly Rd, Okemos, MI 48864 for a quick visit and a great vehicle! Scores 26 Highway MPG and 18 City MPG! 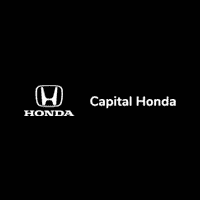 This Honda Pilot delivers a Regular Unleaded V-6 3.5 L/212 engine powering this Automatic transmission. .* Visit Us Today *You've earned this- stop by Capital Honda located at 2651 Jolly Rd, Okemos, MI 48864 to make this car yours today! Boasts 26 Highway MPG and 18 City MPG! This Honda Pilot delivers a Regular Unleaded V-6 3.5 L/212 engine powering this Automatic transmission. .* Visit Us Today *Test drive this must-see, must-drive, must-own beauty today at Capital Honda, 2651 Jolly Rd, Okemos, MI 48864. Delivers 26 Highway MPG and 18 City MPG! This Honda Pilot boasts a Regular Unleaded V-6 3.5 L/212 engine powering this Automatic transmission. .* Visit Us Today *Come in for a quick visit at Capital Honda, 2651 Jolly Rd, Okemos, MI 48864 to claim your Honda Pilot! Scores 26 Highway MPG and 18 City MPG! This Honda Pilot delivers a Regular Unleaded V-6 3.5 L/212 engine powering this Automatic transmission. .* Visit Us Today *Treat yourself- stop by Capital Honda located at 2651 Jolly Rd, Okemos, MI 48864 to make this car yours today! Scores 26 Highway MPG and 18 City MPG! This Honda Pilot boasts a Regular Unleaded V-6 3.5 L/212 engine powering this Automatic transmission. .* Visit Us Today *Come in for a quick visit at Capital Honda, 2651 Jolly Rd, Okemos, MI 48864 to claim your Honda Pilot! Scores 26 Highway MPG and 18 City MPG! This Honda Pilot boasts a Regular Unleaded V-6 3.5 L/212 engine powering this Automatic transmission. .* Stop By Today *Test drive this must-see, must-drive, must-own beauty today at Capital Honda, 2651 Jolly Rd, Okemos, MI 48864. Boasts 26 Highway MPG and 18 City MPG! This Honda Pilot delivers a Regular Unleaded V-6 3.5 L/212 engine powering this Automatic transmission. .* Visit Us Today *Treat yourself- stop by Capital Honda located at 2651 Jolly Rd, Okemos, MI 48864 to make this car yours today! Scores 26 Highway MPG and 18 City MPG! This Honda Pilot delivers a Regular Unleaded V-6 3.5 L/212 engine powering this Automatic transmission. .* Stop By Today *For a must-own Honda Pilot come see us at Capital Honda, 2651 Jolly Rd, Okemos, MI 48864. Just minutes away! Scores 26 Highway MPG and 19 City MPG! This Honda Pilot delivers a Regular Unleaded V-6 3.5 L/212 engine powering this Automatic transmission. .* Stop By Today *For a must-own Honda Pilot come see us at Capital Honda, 2651 Jolly Rd, Okemos, MI 48864. Just minutes away! Delivers 26 Highway MPG and 19 City MPG! This Honda Pilot delivers a Regular Unleaded V-6 3.5 L/212 engine powering this Automatic transmission. .* Visit Us Today *Test drive this must-see, must-drive, must-own beauty today at Capital Honda, 2651 Jolly Rd, Okemos, MI 48864. Boasts 26 Highway MPG and 19 City MPG! This Honda Pilot delivers a Regular Unleaded V-6 3.5 L/212 engine powering this Automatic transmission. .* Visit Us Today *Live a little- stop by Capital Honda located at 2651 Jolly Rd, Okemos, MI 48864 to make this car yours today!